Sorry, no photos of the normal form as of yet. A shrub up to 2m high with long dead-nettle-type deep mauve-coloured flowers. Deep mauve-coloured flowers in small whorls up the stem. Leaves variegated gold and light-green. Up to six flowers in a whorl. Bluish mauve 2-lipped flowers emerge from maroon or beetroot coloured sepal tubes with about five pronounced teeth. Both flowers and sepal tubes covered in fine felt-like hairs. Flower typical of those belonging to the Dead-Nettle Family, to which it belongs. Leaves variegated gold and mid-green. When crushed they smell of Sage, but have a milder flavour than do those of the proper Salvia officinalis. 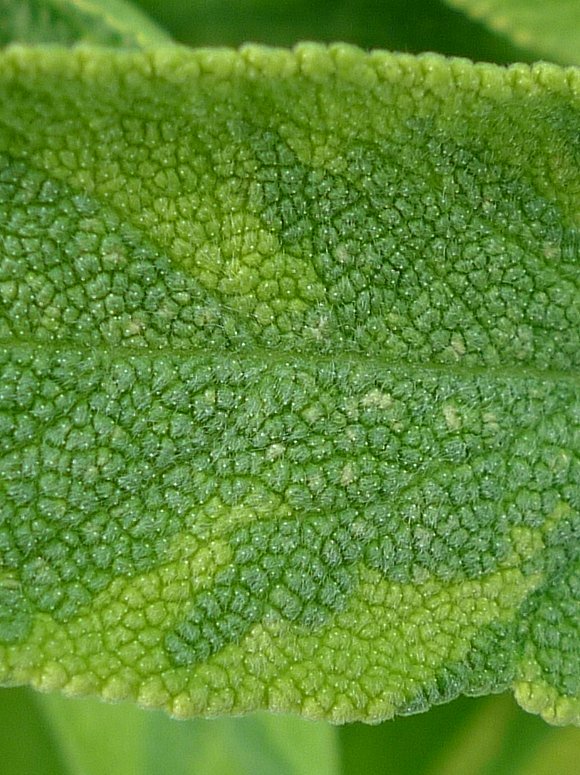 Upper surface of leaves covered in small bumps. The edge has fine rounded teeth. Upper surface bumps look like a pile carpet, with fine hairs, which are glandular trichomes . 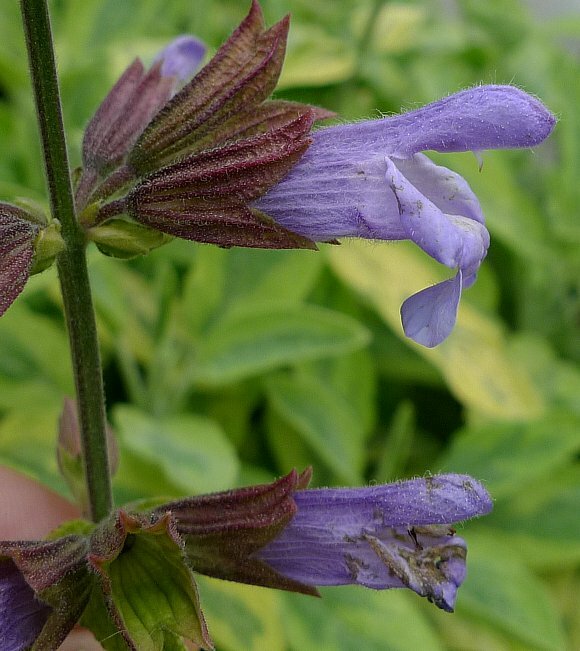 Some similarities to : Clary s, which belong to the same Genus Salvia. 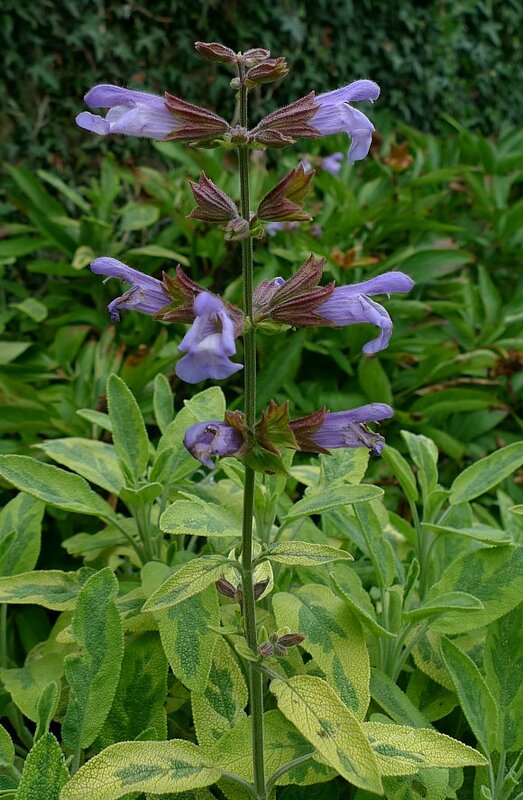 Not to be confused with: Jerusalem Sage (Phlomis fruticosa) nor with Turkish Sage which although belong to the same Dead-Nettle Family, are actually in different Genera: Phlomis as opposed to the Salvia of Sage. 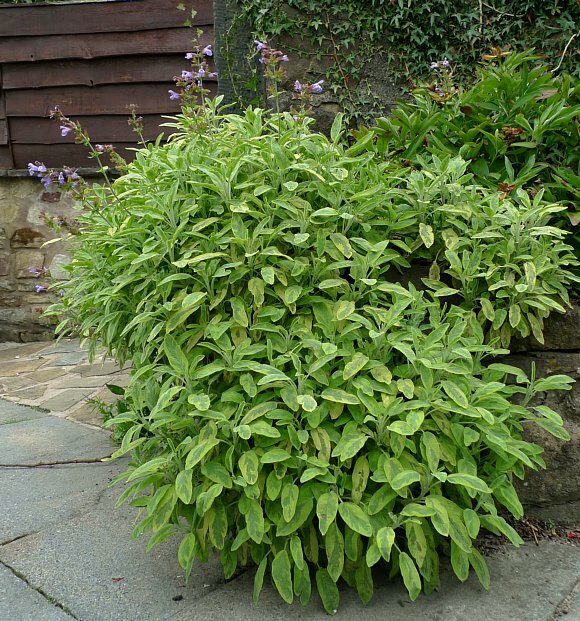 Sage is used as a herb in cooking, especially in Sage and onion stuffing. It contains an essential oil, which is a mixture of several different compounds, the main ones being 1,8-Cineole ( Eucalyptol ) (5-14%), Borneol, Camphor (11%), Pinene , (both α-Pinene and β-Pinene, 13% Viridiflorol , and the highly toxic Thujone (40-60%) (both α-Thujone at 16% and β-Thujone ). It also contains 8% Manool , 4% Borneol , 2% Bornyl Acetate Caryophyllene (10%), IsoCaryophyllene , α-Humulene and Limonene (6%) and sesquiterpenes. 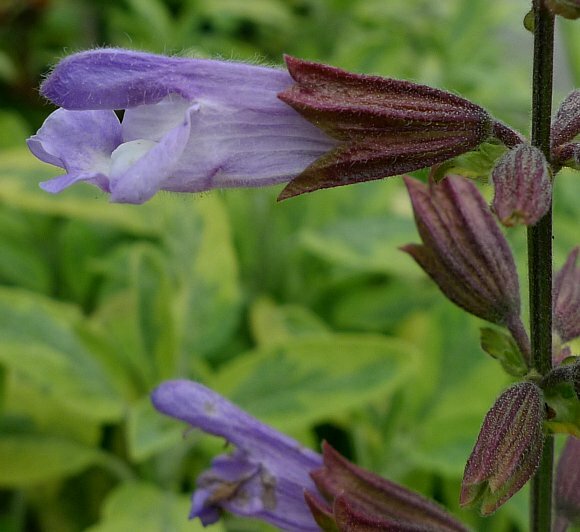 However, a recent survey in the USA concludes that most (between 50 to 95%) commercially sold Sage herb is actually derived from Salvia fruticosa and not Salvia officinalis as is implied. 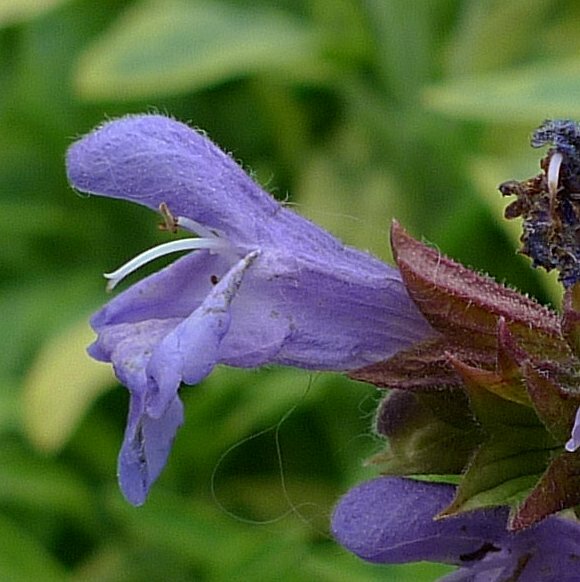 'Spanish Sage Oil' is derived from Salvia lavandulaefolia which is closely related to Salvia officinalis. 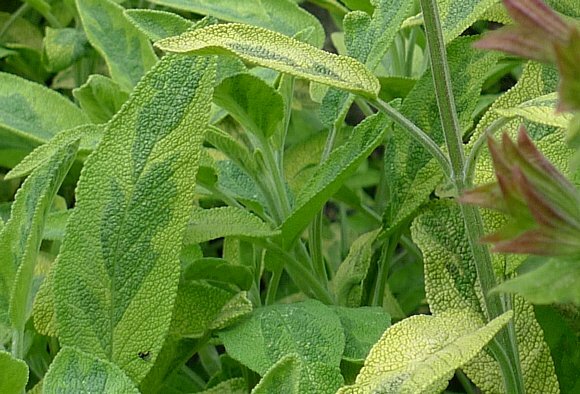 Sage oil is toxic due to the Thujone content and should not be ingested. 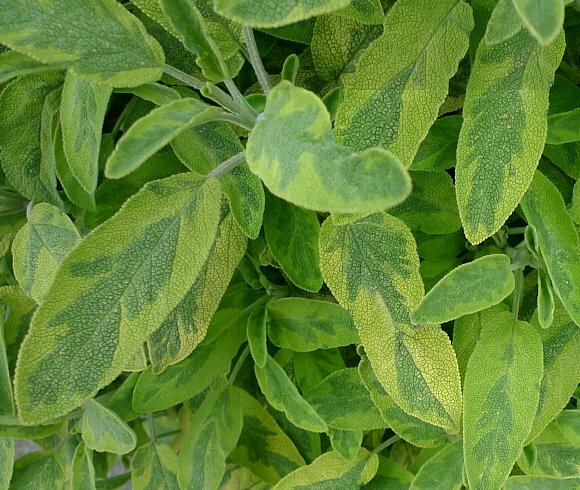 Sage leaves should be used with caution as they may interfere with any existing hypoglycaemic or anti-convulsant therapies. Sage should also not be taken during pregnancy as it can lead to abortion (due to the thujone). That said, sage oil is used in some alcoholic beverages such as vermouths and bitters and in baked goods and candies, condiments, cooking sauces and relishes, but in low doses. The side effects of ingesting excess thujone are tachycardia, hot flushes, dizziness and convulsions. 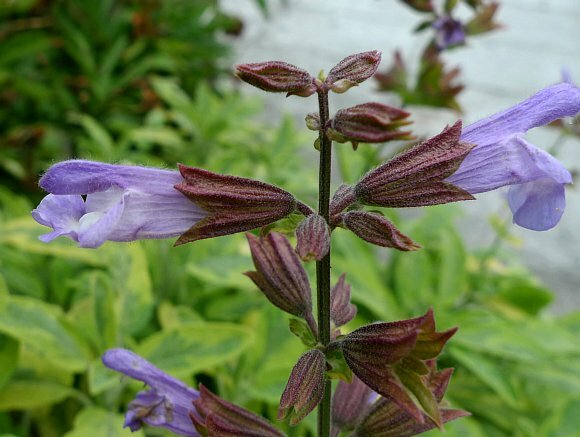 The latin derivation of the name Salvia heralds its use in traditional medicine to cure people (salvation). It is reputed to be carminative, spasmolytic, antiseptic, astringent and antihydrotic. Used as an infusion (a tea) it can reduce perspiration for example in 'night sweats', treat nervous conditions such as vertigo, trembling, and depression, and is useful for diarrhoea, gastritis, sore throat and insect bites. Its most remarkable property is its ability to suppress perspiration, which it does 2 hours after ingestion and for up to several days after. Sage can exist as two or more Chemotypes, where exactly the same species of plant can produce differing secondary metabolites, which might depend upon the region it is growing in or on environmental factors. The leaves also contain Tannic Acid, Oleic Acid, ursonic acid , Ursolic Acid, cornsole , cornsolic acid , Fumaric Acid, chlorogenic acid , Caffeic Acid, Niacin, Nicotinamide, flavones, flavonoid glycosides, and oestrogenic substances. 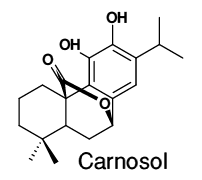 2 bitter principles: Picrosalvin and Carnosol, which were later discovered to be one and the same substance! 6 phenolic Acids such as Rosemarinic Acid, Labiatic Acid , Caffeic Acid and a trace of Chlorogenic Acid . 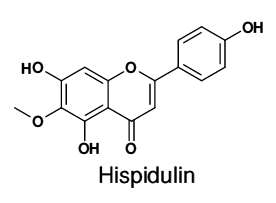 And some 45 flavonoids including Genkwanin, Luteolin, Hispidulin , Salvigenin and their derivatives. 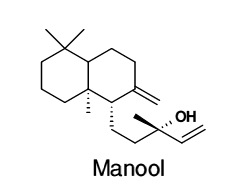 Manool is a diterpenoid which despite its apparent high atomic weight is a volatile floral aroma compound present in Sage. Borneol, a monoterpene found not only in the essential oil of Sage but also in a great many other essential oils such as that obtained from several species of Wormwood (Artemesia), is a bicyclic compound with a distinctive smell. It s a natural insect repellent. It is used pharmaceutically as anti-pyretic, analgesic and anti-inflammatory drugs. For this role it is obtained from several plants. Eucalyptol(e), (aka cineol(e), 1,8-cineol(e), limonene oxide and cajeputol) is a bicyclic monoterpene with a distinctive aroma and was first found in the Tasmanian Blue Gum Tree (Southern Blue Gum Tree / Blue Gum) [Eucalyptus globulus]. It should not be confused with Eucalyptus oil, which is obtained from plants of the Eucalyptus Genus. Eucalyptol, a constituent of Sage, is also found in Bay leaves, Mugwort, Sweet Basil , Wormwood, the non-native Galangal (kaempfera galanga) and Rosemary. Possessing a smell like camphor and a spicy cooling taste it has found use as a flavouring in sweets to help clear the nostrils, in mouthwashes and toothpastes, and as an additive to certain brands of cigarettes (cool as a mountain stream? ), and in medicine, but is used only in very small doses on account of its high toxicity. Eucalyptol is also used as an insect repellent, but conversely it attracts orchid bees who use it to synthesize a pheromone attractant. Because of this, it is commonly used to attract and collect bees. These are just a few of the 45 flavonoids that are found in Sage. 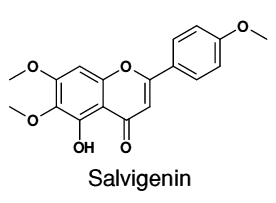 Salvigenin obtains its name from the Genus Salvia to which Sage and the Claries belong. 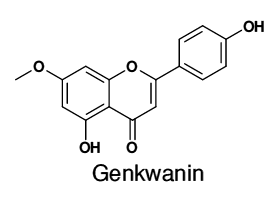 Genkwanin displays anti-microbial and anti-fungal properties. 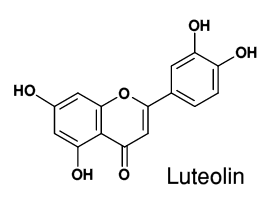 Luteolin is a yellow flavonoid used as a dye that is also found in Weld. It is found mostly in the leaves of plants, but is also present in the edible parts of Celery , Dandelion, Thyme Oregano and Carrot . It is one of the more common flavones and plays a role in the human body as an anti-oxidant, scavenging dangerously reactive free-radicals. It is also an anti-inflammatory, a promoter of carbohydrate metabolism, and a moderator of the immune system. Luteolin is used to treat allergies, asthma and bronchitis, but is not without side effects such as nausea or vomiting. 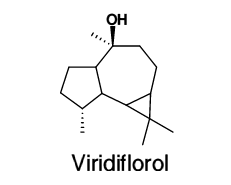 Viridiflorol is a diterpene, and has certain chemical structural characteristics to Mezerein. With a strained cyclopropane ring, it is bound to be toxic. Note that it has three fused rings, the seven membered ring is fused to a three membered ring and a five-membered ring. As such, it has certain similarities to the Azulenes with fused 5- and 7-membered rings, but that is aromatic. Carnosol (aka Picrosalvin), an Abietane, has a bridging epoxide group straddling the 1,4 positions on one of the cyclohexane rings. It is the bitter principle found in Sage. [Being an Abietane - compare with Phyllocladene]. Niacin, or Nicotinic Acid, is part of the Vitamin B complex. It is a water-soluble vitamin occurring in various plant and animal tissues. Nicotinic acid is converted into Nicotinamide by the human digestive system. Nicotinamide (Niacinamide) has a substituted carboxamide group in place of the carboxyl group. Both are referred to as Vitamin B3 for they are equivalent from the point of view of effectiveness as Vitamin B3. There is in-sufficient Vitamin B3 in the human body, thus extra supplements are required, which are normally obtained by eating the correct foodstuffs. Sage being just one of many. 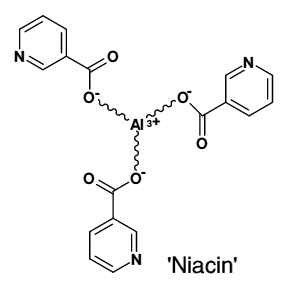 Niacin is also available pharmaceutically as the aluminium salt. Vitamin B3 deficiency results in the disease Pellagra where the skin goes red and peels off, especially in response to exposure to sun. Other symptoms are intolerance to odours and bright lights, vomiting, dizziness, restlessness and sudden bodily movements. Nicotinamide is used as the drug which will cure the disorder. Nicotinamide is hepatotoxic, poisoning the liver at doses greater than 3g/day (adults); this being well above the effective dosage required as a vitamin. Common Sage also contains Carvacrol.